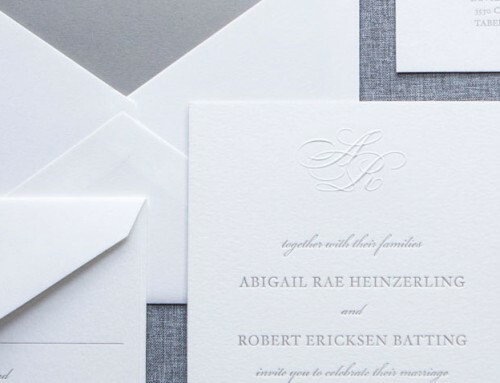 It’s a toss up for what we love the most on Ashley and Adam’s invitation suite – the handmade paper herringbone envelope liner? 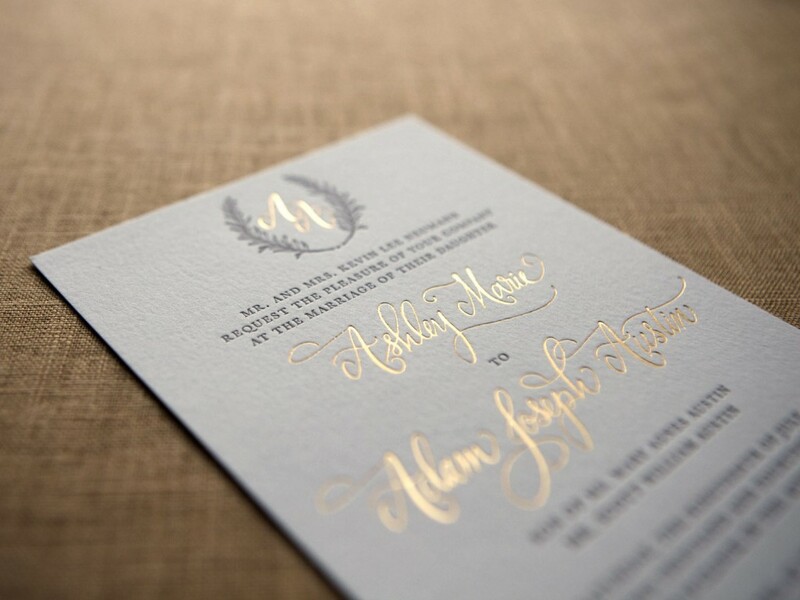 the gold foil monogram? 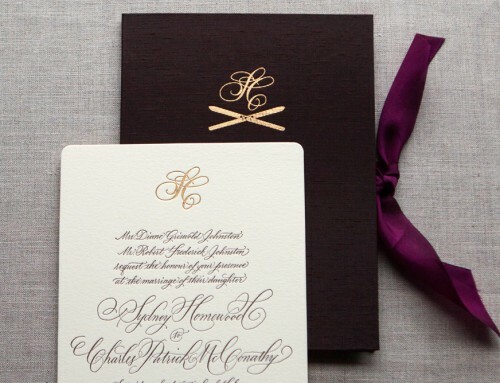 the beautiful calligraphy on their names? 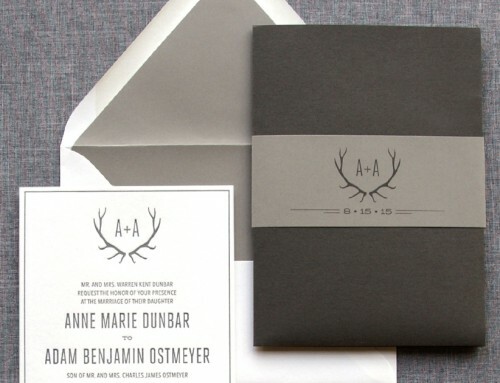 (from the lovely Kelle McCarter) It must just be that everything works well together! 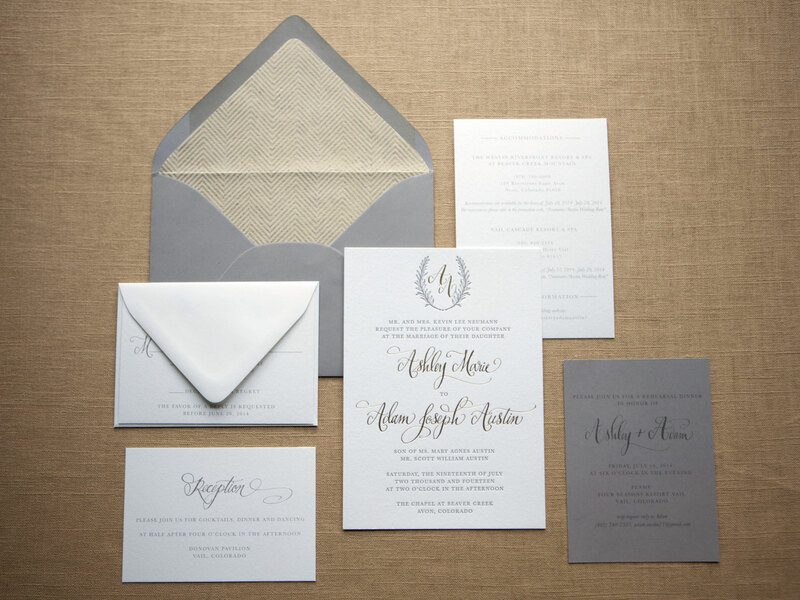 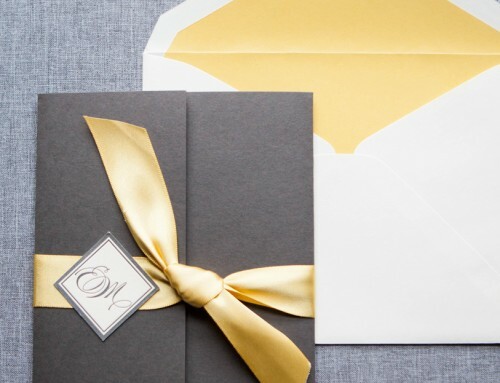 The invitation set was letterpress printed in soft grey and foil stamped in a matte gold with a mix of pearl white and gravel grey for paper colors. 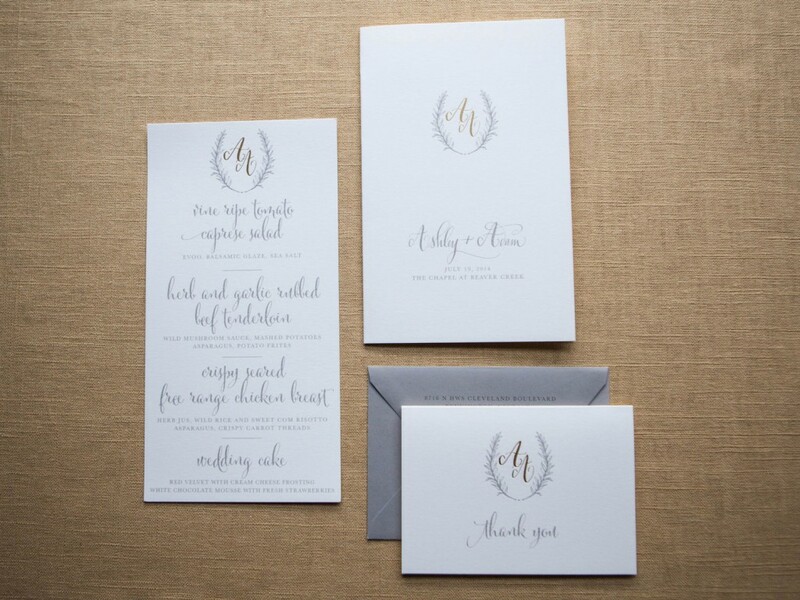 See more Ashley and Adam’s gorgeous wedding featured on Style Me Pretty here. 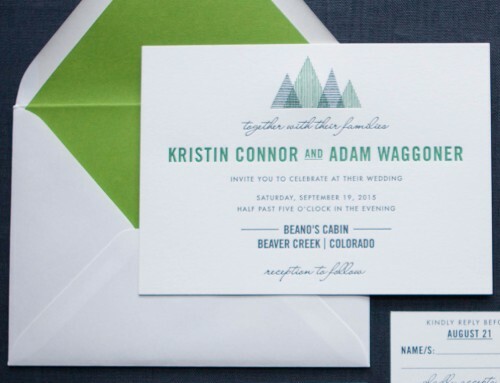 And see a gorgeous version of Ashley and Adam’s invitation in emerald and gold, also featured on Style Me Pretty here.